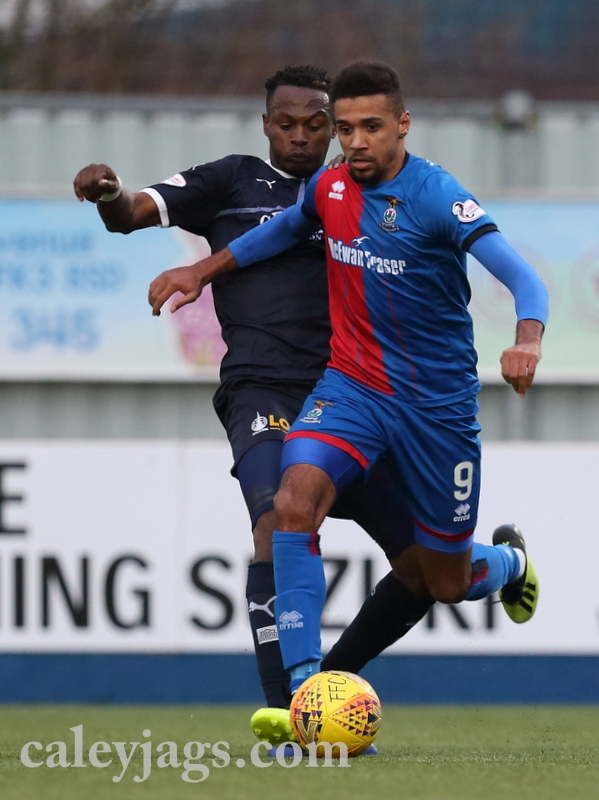 Caley Thistle drew 2-2 against Falkirk in an action packed match at the Falkirk Stadium, with Shaun Rooney and Aaron Doran getting the goals for the Caley Jags. Doran’s goal was defiantly one for the highlights with the Irishman hitting a volley into the top corner from just outside the box, before the break. Caley Thistle were missing Mark Ridgers through injury as Cammy Mackay came in for his first start of the season. The only other change for John Robertson’s men was Nathan Austin coming in for George Oakley. Aaron Doran had the first sight on goal in the match as he burst into the box but his effort was held by Harry Burgoyne. 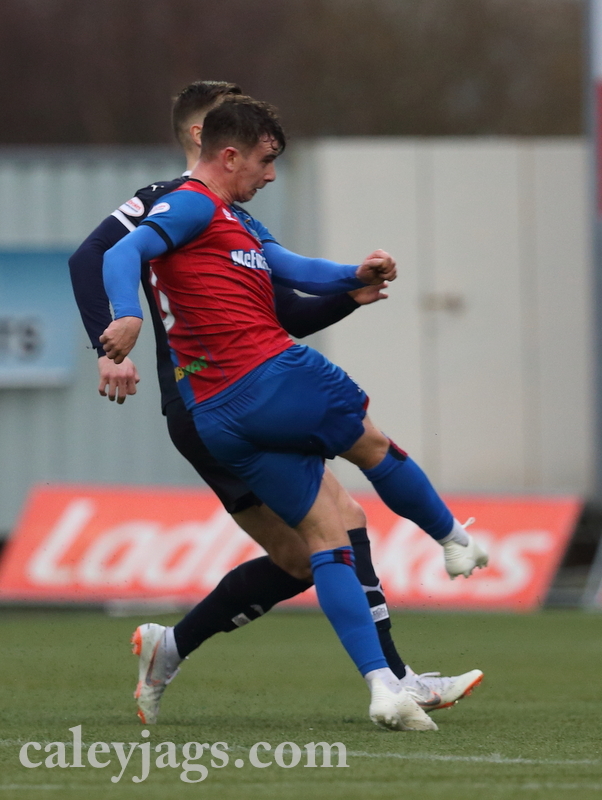 Caley Thistle didn’t have to wait long for the lead as on the 13th minute Shaun Rooney met Joe Chalmers’ low free-kick to slot past the Falkirk keeper for his fifth goal of the season. Nathan Austin was presented with a big chance to make it 2-0 as he was found free in the box by Doran but his header was too tame and straight at Burgoyne. Doran was close to making it 2-0 but was denied by a stunning save from Burgoyne as the Irishman cut inside but his shots kept out by a strong hand from the Falkirk keeper. Falkirk levelled thing up with their first chance of the match as Zak Rudden tapped in from close range after meeting a cross from Mark Waddington. Jordan White was played in to make 2-1 but saw his initial effort was blocked and his second was deflected wide for a corner. 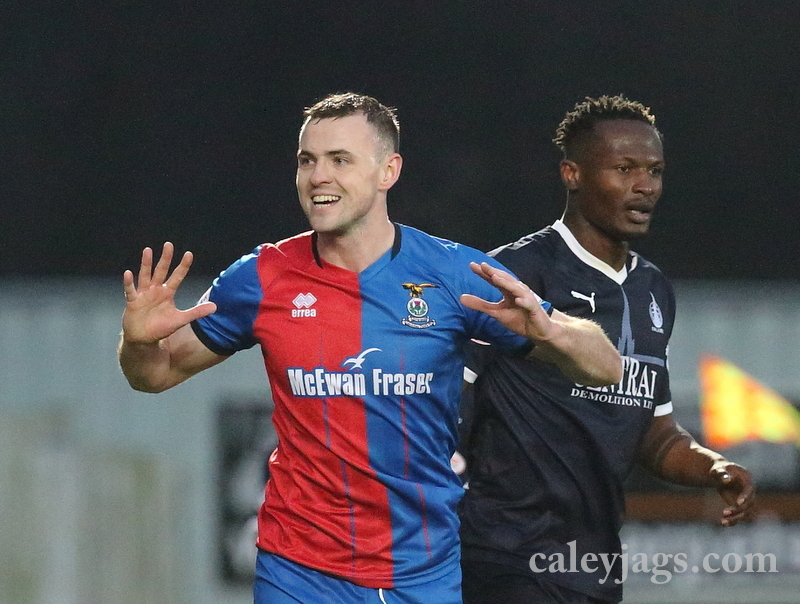 Caley Thistle did have the lead before the break though as Liam Polworth’s free-kick found its way to Aaron Doran who’s stunning volley flew past the Falkirk goal keeper to make it 2-1 to ICTFC at the break. In the second-half, Nathan Austin saw his cross turned behind for ICTFC corner which the home side got clear. On the 55th minute, Falkirk drew level as Ian McShane’s corner went directly in as it flew past Cammy Mackay. 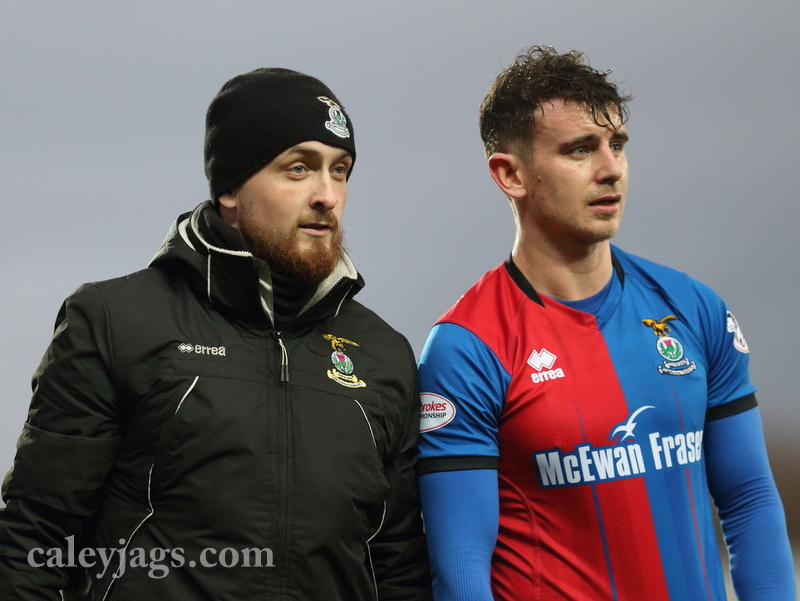 Aaron Doran broke clear through on goal as he looked to advance forward but injury stopped the Irishman on his run as he had to be replaced by new ICTFC signing Darren McCauley. McCauley looked to make an instant impact as his cross found Jordan White in the box but his effort was deflected wide of the post. Liam Polworth then saw his long range effort narrowly go over the bar after he was set up by McCauley. With just 15 minutes left, Joe Chalmers found Oakley in the middle with a super ball into the box from the left-hand side but Oakley’s header was well saved by Burgoyne. 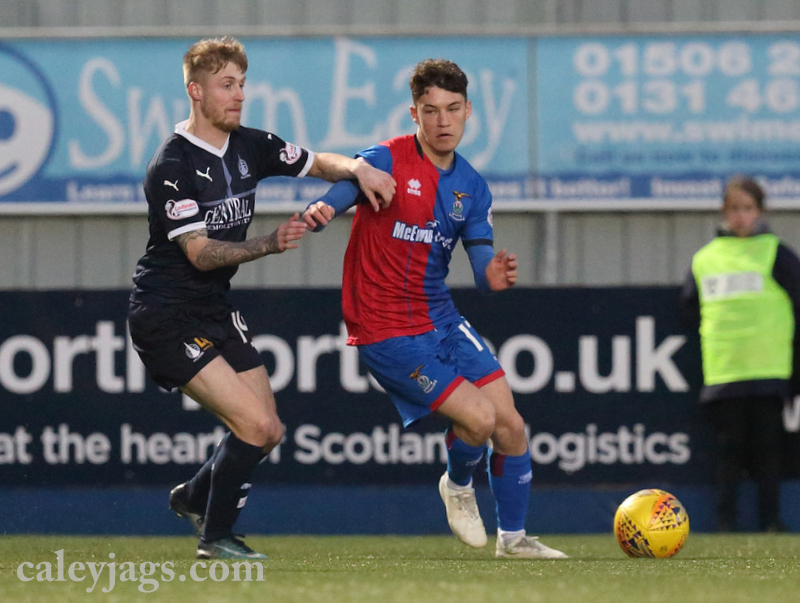 Anthony McDonald was then introduced for his Caley Thistle debut, after joining on loan from Hearts this week, and he almost marked his introduction with a goal as Darren McCauley’s shot deflected into the 17 year old’s path but it was a tight angle and his effort hit the side netting. There was to be some late drama as McCauley felt his effort inside the box was blocked by a Falkirk defenders arm but nothing was given by the referee. 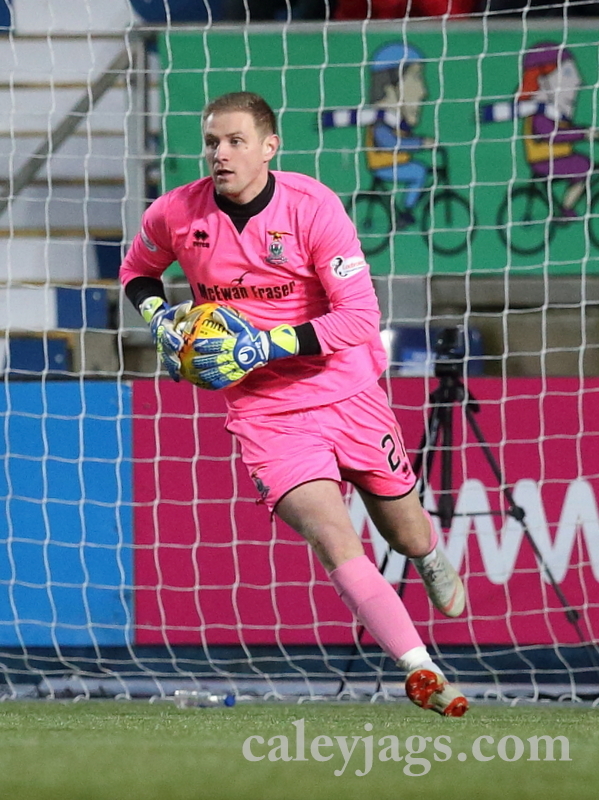 At the other end, Rangers loanee, Zak Rudden was presented with a big chance to win the game for Falkirk but he blazed his effort over the crossbar. 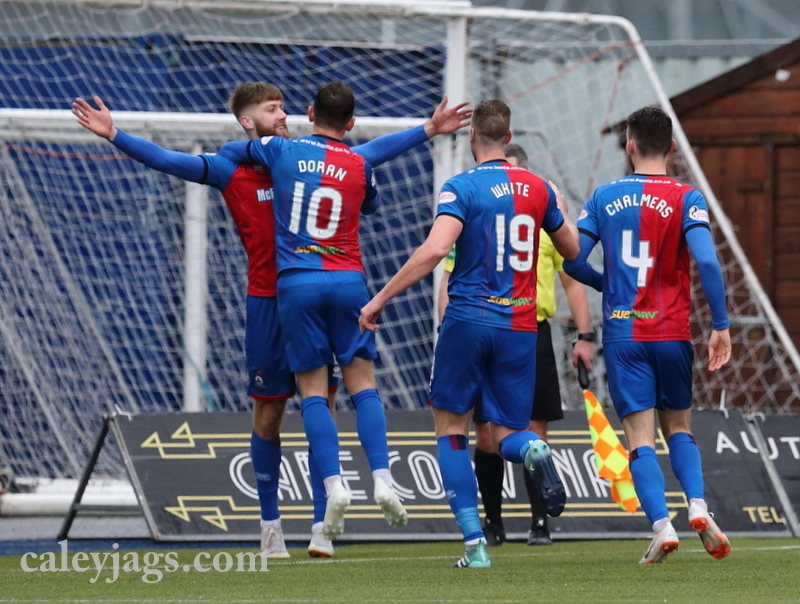 The result takes the Caley Thistle level on points with Queen of the South, who occupy the final play-off spot but the Caley Jags have a game in hand which they will play this Tuesday against Ayr United at Somerset Park. “It was a strange game. Both equalisers come against the run of play. 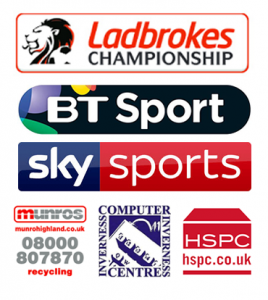 The Falkirk keeper – he was terrific – kept them in the game.